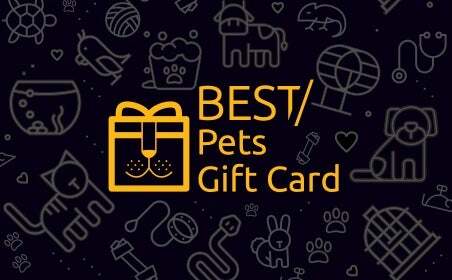 The Best Pets eGift Card is a unique gift to give a passionate pet lover to spoil their furry friend or experience with their pet. It is one Gift Card with hundreds of options for pet-related retail stores, groomers, pet friendly hotels, vets, activities and suppliers to choose from Australia-wide. The Best Pets Gift Card is for people who love their pets so much that they consider them family. Prezzee digital Gift Card is excited to announced it is now selling Australia’s first national multi-merchant pet gift card for pet lovers and pets. It’s the ideal gift for dog and puppy people, cat worshippers, snake lovers, horse and equestrian fans, or fish, rabbit or guinea pig fanatics, there’s something for every Australian pet and animal lover to enjoy with the Best Pets eGift Card. A Best Pets digital Gift Card is easy and simple to use. Select the desired Gift Card value on the Prezzee website or app and purchase for yourself send to someone special. The Gift Card can then be redeemed from Best Pets Gift Card list of participating pet businesses. Gift Cards are ideal for all occasions. They’re flexible and they allow your giftee to select something they really want which could be for them or their pet.